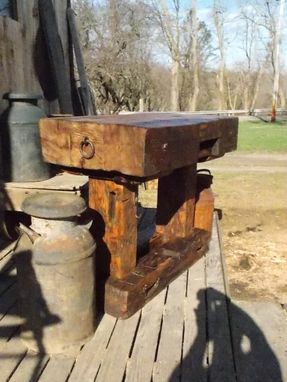 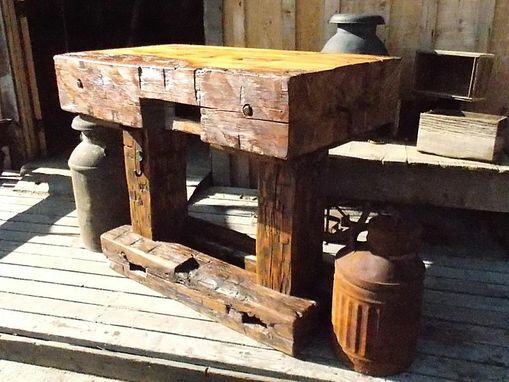 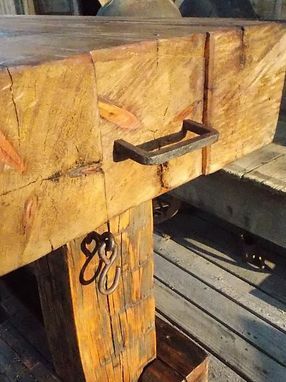 This is a one of a kind massive timber island/table.I made fit from 100-150+ yr.old Hand hewn barn timbers.The top is roughly 42" x24" x8" thick.The yop is made from three white pine beams from a barn built in the 1850s.The base is comprised of hardwood beech timbers from a late 1800s barn .They are roughly 6' x 6" and 6" x 8" timbers.This piece is truly unique with centuries of character. 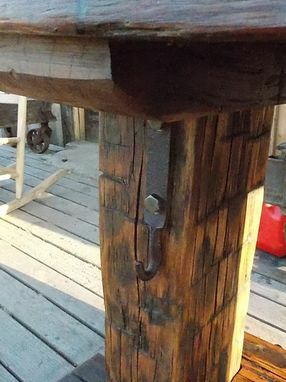 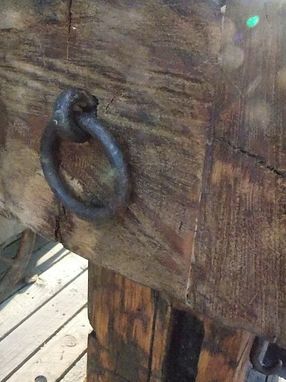 Many mortise joints from the original building .I also added several pieces of antique hand forged iron hardware. 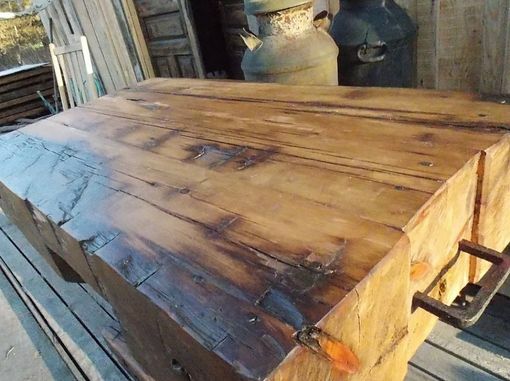 [see close ups] The piece weighs in a roughly 300#s I'd estimate.